SUGAR industry stakeholders should support national and local candidates who have demonstrated their concern for the sugar industry, the ARBs Sugar Farmers Federation–Kilusang Pagbabago said in a press statement on Thursday, February 7. “Let us support the ten senators who introduced the senate resolution urging the country’s economic managers to stop pursuing their plan to liberalize sugar importation,” said Aaron Sorbito, chairman of the ARB federation which has eleven member-associations in Negros. Last Wednesday, Senators Migz Zubiri, Cynthia Villar, JV Ejercito, Sonny Angara, Richard Gordon, Koko Pimentel, Nancy Binay, Joel Villanueva, Sherwin Gatchalian, and Loren Legarda passed a resolution exhorting the executive department to abandon the proposal to deregulate sugar importation. The resolution stated that the proposal will be disastrous to the 84,000 sugarcane farmers, who are mostly agrarian reform beneficiaries, the 720,000 industry workers, and the five million Filipinos in 28 sugar-producing provinces in the country. The 10 senators also reminded the government that the sugar industry contributes P96 billion annually to the country’s gross domestic product, and that the demise of the industry due to import liberalization will cause poverty and breed social unrest in the 28 sugar-producing provinces. “Our federation members and their families will campaign and vote for the re-electionist senators among the ten who sponsored the resolution,” Sorbito pledged. “We also urge all industry stakeholders, particularly the ARBs and marginal farmers, to campaign and vote for national and local candidates who have consistently stood for and who clearly present a sustainable program for the sugar industry, in particular, and the entire agriculture sector, in general,” he added. The group further called on members of the House of Representatives and local government officials, specifically in Negros and other sugar-producing provinces, to remain vigilant amidst this threat of import liberalization, and to readily stand up in support and defense of the sugar industry. “We reiterate our call on government policy makers that, instead of plotting against the farmers with the planned import liberalization, they should deliver programs which will help the poor farmers increase their yield and lower their production cost,” the group further said in their statement. The ARB federation said that government should plow back to the industry a portion of the hundreds of billions which the industry has contributed to the economy. In fairness to the sugar industry, the government should provide support to the farmers, through cheaper fertilizer, easier access to production financing and farm equipment, and fuel subsidy. Sorbito explained that fuel constitutes a huge chunk of production cost. Farmers use fuel for plowing, pulverizing and harrowing the field and in hauling the canes to the mills. “If the government can give a fuel subsidy in the form of the Pantawid Pasada Program to the transport sector, it should also provide fuel subsidy to an industry which provides food for all Filipinos every day,” Sorbito stressed. 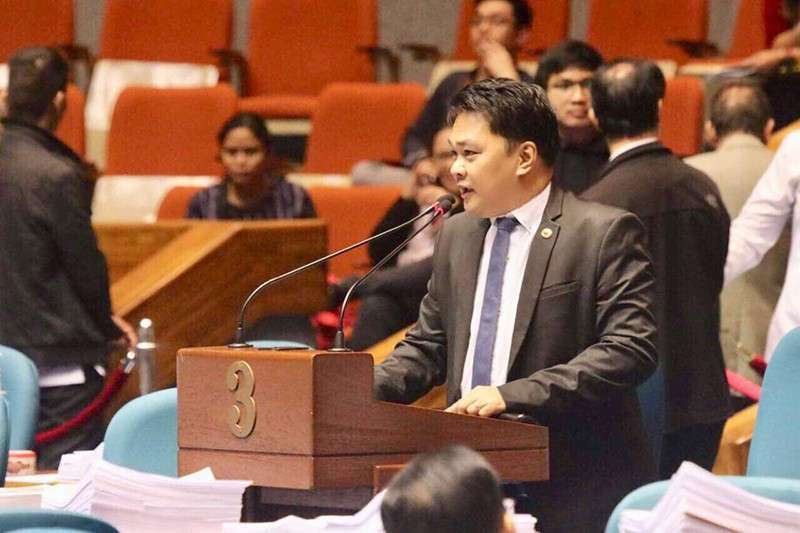 Meanwhile, Bacolod City Representative Greg Gasataya manifested his opposition on the proposed sugar liberalization during a privilege speech at the House Wednesday night, February 6. His speech will be part of the session notes in Congress. In his speech, Gasataya told his colleagues that he brought a manifesto signed by 172 leaders of agrarian reform beneficiaries and cooperatives in Negros that have a membership of over 250,000 small farmers who are facing the fear that “importing sugar without measures in place to protect the local industry will be a great disadvantage” to them. “Just the announcement alone of a planned open importation of sugar already resulted to a drop of over P120 in mill gate prices, the difference of which spells whether these small farmers and ARBs will prioritize education of their children and other basic needs over food on the table,” he said. The sugar industry has always been at the receiving end of threats from industrial bigwigs whose main agenda is to rake in more profit at the expense of the sugar farmers. Hence, to say that these people need protection is an understatement, the solon said. “We in Bacolod, and Negros, and in 20 other provinces who are part of the sugar industry, pray that we listen to the plea of our sugar workers, our small farmers, our poor agrarian reform beneficiaries and the millions more who are crying for help,” he said.